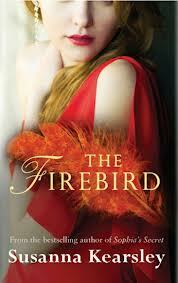 Marg: The Firebird by Susanna Kearsley. I actually claimed this book as my most anticipated new release in 2013 back in July! I am just that excited at the prospect of reading it! And I was very excited when I got an early copy of it in the mail a couple of weeks ago. There was squeeeing and happy dancing involved. I am kind of glad you couldn't all see it! Kelly: The Aviator's Wife by Melanie Benjamin. I wasn't sure what I was going to choose, but when I heard that Melanie Benjamin had a new book out in 2013 I decided it was a safe bet. I really enjoyed both of her previous books! Julie: As I have to wait until the Autumn of 2013 before my most anticipated release is available, there is not even a cover I can show you. The book is the latest in the Outlander Series by Diana Gabaldon and is to be titled "Written In My Own Heart's Blood". So, as I have to wait almost a year I have a selected a second book, one that I know will be a great success, as indeed the rest of the books by this author are. 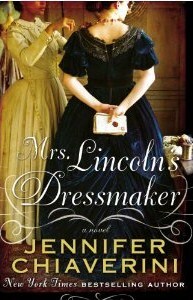 That book is Mrs Lincoln's Dressmaker by Jennifer Chiaverini and is released in the UK in January 2013. Ana: I have been very undecided about what to choose for this feature. There are several books that interest me but I ended up writing down Patricia Bracewell's Shadow on The Crown. It is set during a different period than what I usually read and I don't think I have ever payed much attention to Emma of Normandy so it might be both an interesting and informative read. 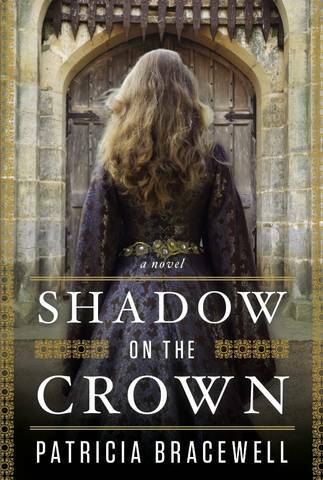 Shadow on the Crown will be out on Feb 7, 2013. Nanette: I'm with Ana in my anticipation of The Shadow on the Crown. I love books that are set in this era, and there are so few of them. Fever by Mary Beth Keane, which is a novel about Typhoid Mary, the Irish immigrant who unknowingly started a typhoid epidemic in early 19th century New York City. I've been fascinated by Mary Mallon since fourth grade, when I read her story on one of the history cards that my teacher had in her classroom. As far as I know, this is the first novel about Mallon, and the author is highly acclaimed. 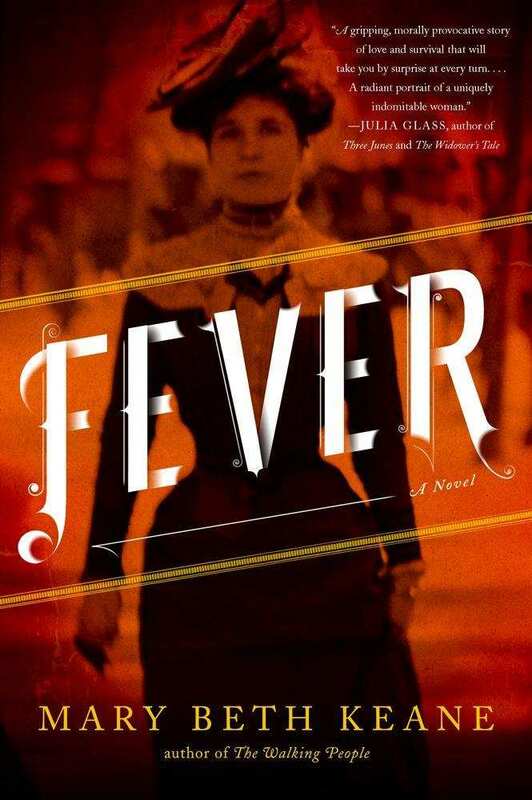 Fever will be released in the U.S. on March 12. 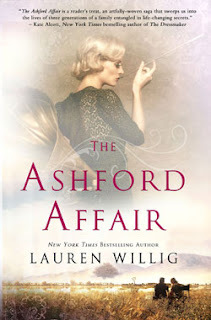 The Ashford Affair by Lauren Willig. I admit that I've fallen behind on Willig's Pink Carnation series, which is a shame, because it's a lot of fun. But this novel is a standalone, and it looks like a family saga--one of my favorite genres. I'll be looking for this one in April. I know I've mentioned this before, but the book I'm most looking forward to in 2013 is Paullina Simons's Children of Liberty, which has been out in Australia since last fall, but isn't available in the U.S. until late February. I loved the Tatiana and Alexander series, and Children of Liberty gives the backstory of Alexander's ancestors. Alex: This choice was quite difficult to make since several books already caught my attention, but Christine Trent's Lady of Ashes, a story about a Victorian undertaker, seems absolutely fascinating and unusual. Can't wait to read it ! The Summer Queen by Elizabeth Chadwick, a novel about Eleanor of Aquitaine, is also in my "most anticipated release" list for this year. Her books are always amazing ! What are your most anticipated new releases for this year? Lady of Ashes, The Ashford Affair and Shadow on the Crown are all ones I'm eagerly awaiting! 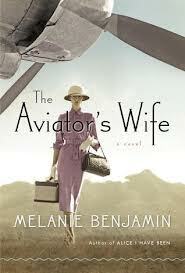 I didn't know Melanie Benjamin is the author of The Aviator's Wife; I loved Alice I Have Been so I will have to keep an eye on this one. I'm looking forward to most of those books too, especially Written in my Own Heart's Blood, The Firebird and Shadow on the Crown. I also can't wait for the new Edward Rutherfurd book, Paris. These all look amazing. I'm really glad Shadow on the Crown made it on your list! I have an ARC of it and it looks amazing. The Firebird is my most anticipated read -- my copy is on its way and will hopefully be here next week! I'm also looking forward to The Ashford Affair, Shadow on the Crown, The Agincourt Bride by Joanna Hickson (which will also hopefully arrive in my mailbox next week), The Chalice by Nancy Bilyeau and Paris by Edward Rutherfurd. I think 2013 is going to be a great year for historical fiction. I'm not even sure what Susanna Kearsley's new book is about, but it is already on my wishlist! The Willig looks interesting as well so will have to go and add it, too! I'm trying to read more from my stacks and not be too tempted by new books, but I can see I am going to have a hard time of it! I think I'm going to be wishlisting all of those. 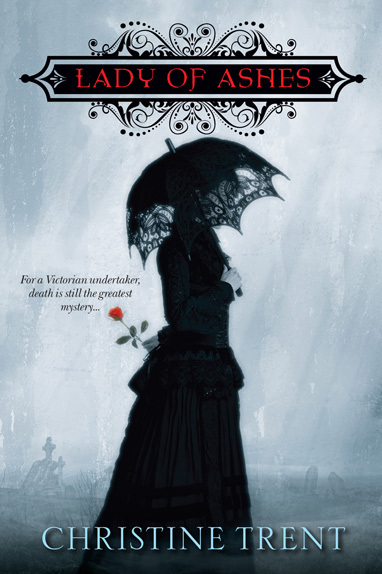 Lady Of Ashes and Mrs Lincoln's Dressmaker are high on my list of must read books! I love Susanna Kearsley and I put The Firebird on my list as soon as I saw it pop up on the blogs. I love the cover too.